Time management? Would like to say I have this down to a tee, but I don’t! I do know this though, I heavily rely on making a schedule. I personally do this only for a week at a time because our household can get unpredictable quite often. This would be the reason why! We have 4 children, 2 typical (if that’s what you want to label them, LOL) and 2 special needs kids. Having disabilities ranging from physical disabilities, developmental delays, dyslexia, ADD, memory processing disorder, high anxiety, sensory processing issues to name just a few. I’ve been homeschooling for 17 years, and have definitely made over 1000 mistakes along the way. Oh and yes I’m still learning because their needs change, situations change. By the time our older 2 were in 3rd grade a lot of their school was done on the computer, so they were more self-guided and I just monitored them. Both of them were able to set their own pace, knowing what they had to get done by the end of the day. So I let them just self-pace themselves. I knew they had a fairly good idea of what the concept of time was about. 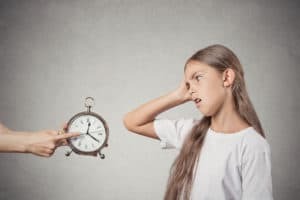 There were times I had to remind them they were on a schedule, because like most kids they got distracted and veered off into another direction. They both now have graduated and one has already starting to make a career for herself. Well, the other one has had to have some pushing along to get her going in the right direction, but she will get there. So this leads me to how I handle and manage our days of homeschooling the 2 youngest. It’s not easy I will tell you that. Most days are challenging, but we handle every issue straight on. We do have a fairly good support system in place with some of the therapists the kids see weekly. My primary goal as a parent is to see that each of my children is equipped and reaching every inspired goal they may have. I want them to be able to reach their fullest potential that they are capable of. 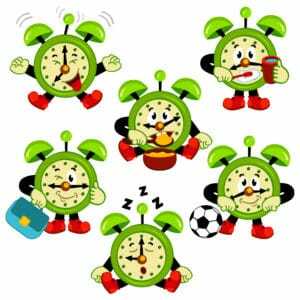 Teaching Time Management is one of those skills that give them the ability to be able to work independently. Time management is about more than just setting a schedule. It’s the concept of teaching about learning to follow through with the task and continuing to reinforce with a visual focus. 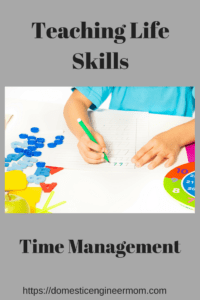 I have found that teaching and learning Time management is not as easy as it sounds. If you are not a super organized person in the first place then you better learn fast when it comes to Homeschooling! Time management is a challenge for most anyone. One of those life skills that are not self-taught. It is a skill that has to be taught at a young age. Understanding the concept of time can also be very challenging if you have a learning disability. 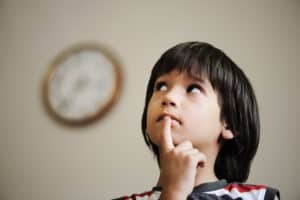 So when it comes to teaching this skill you will need to understand that children may know how to read a clock or tell you the time, but have no clear idea of how to manage it. A Structure Is A Must! Children with Special Needs thrive better on a structured day. This will also give them a visual direction of what is to be accomplished for the day. When you have a schedule that outlines the day’s lessons and activities your child knows what to expect. I usually try to write it out on a whiteboard so the day’s task is visible to my children. Doing this every morning lets them know you are giving them a guideline so they know what is next. My example would be, we have 2 days a week that the kids have therapy. I finally was able to get OT, PT, and speech scheduled for both kids at the same times, so we could be home 3 days of the week where the focus is more structured. 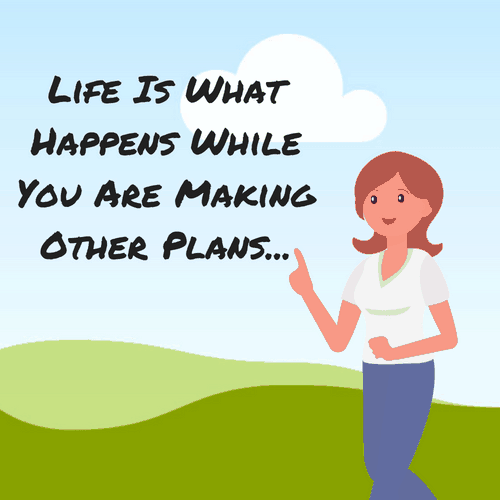 My best advice is to be sensible and flexible when you are planning your days or weeks. There will be days and sometimes weeks that all that scheduling will somehow lose its way, but being flexible will help you get back on track and go more smoothly. Depending on the age of the child you want to start out with a simple task so there will be no frustration. Make this fun for your kids. Learning is always more fun if it doesn’t look like work. The more fun you make time management, the easier it will be to for them to understand the time and how to manage the use of their time. I like to make a list of things they can already do. This would be a list that needs to be done more effectively. You may want to sit down together and let your child help you make the list together. I find asking them how long they think each task should take so you can adjust to your child’s ability. When it comes to chores or putting things away, It is beneficial to label where everything goes. If they can’t read put a picture of the object or items in the designating place. So for example, when you ask them to pick up their toys you need to set a visual reminder for them to see. A visual timer works very well so they know how much time they have. Most children with disabilities have problems completing the task when they are not given, “one task directions”. When your child starts seeing the progress, this will build their confidence and they will be able to go move on to the harder task, with maybe 2 to 3 more steps. I really believe that rewarding them for good time management is a great motivator. This kind of rewards can be done daily or keep track of them on a chart so they can see the process. At the end of the week, you can reward them with things like extra I pad time, computer time, maybe some items from a dollar store. Dollar stores make great places to get reward prizes at! You make that decision and make sure your children know ahead of time what the rewards are. This is a great way to motivate! Try To Remember Simple Is Best! Remember to keep it simple! This is a skill that’s built upon and your child will probably need lots of encouragement along the way. Don’t forget to use a chart or a list that plainly states what they are supposed to do. An absolute must in our house is a visual timer that lets kids know how long they have and also counts down so they know how much time they have left. You can click on this link to the one we personally use in our house. When I schedule assignments for the week I only schedule for 30 min intervals. Most children with learning disabilities and focus disorders can't stay on a task longer than that. Even if I see that was headed for a MELTDOWN I just say "let's walk away, clear our head" and then continue once the frustration has settled. I started them at a young age of practicing that, so I can really tell if it's frustration or just trying to get out of completing the task. Also, remember tomorrow is a new day and if you don't get done it will be there tomorrow. Enjoy this time with your children and it will also make them more relaxed if you are also. Really hope this information is helpful and would love to hear from you. Leave me a message or you can email me. I will try to get back to you as soon as I can. This post contains affiliate links for your convenience whereby I receive a small commission when you purchase through my link at no extra cost to you.